New Year, New Start! and indeed, a Happy New Year! 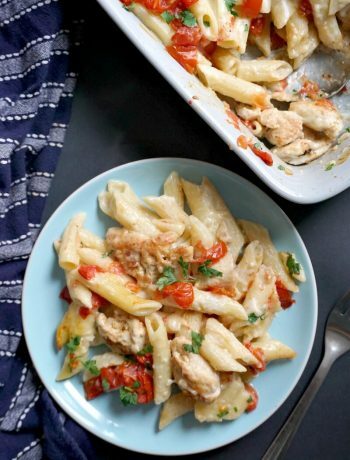 These 15 healthy and easy recipes are just what you need after Christmas and New Year! The festive season is well behind now, and so should be the rich and heavy meals that made us put on some serious weight over the past few weeks. If one of your New Year’s resolutions is a healthier you, then lighter dishes are the answer here. But lighter meals does not need you have to compromise on taste, not at all! 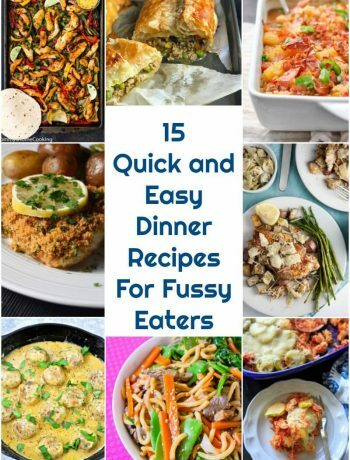 Healthy and easy recipes are here for you. No need to despair, you will be surprised how healthy food is quick, tasty and so easy to prepare. Weight loss is easier than you think, trust me on this. Exercise might be the key, but without healthy foods, the process is not only slow, but might not even bring the results you expect. I have always preached a balanced lifestyle, as drastic diets, although might sound amazing, always prove to be ineffective in the long run, and you will end up putting on more weight not in the far away future. So, take it easy, and enjoy! After all, nothing got built in a day. 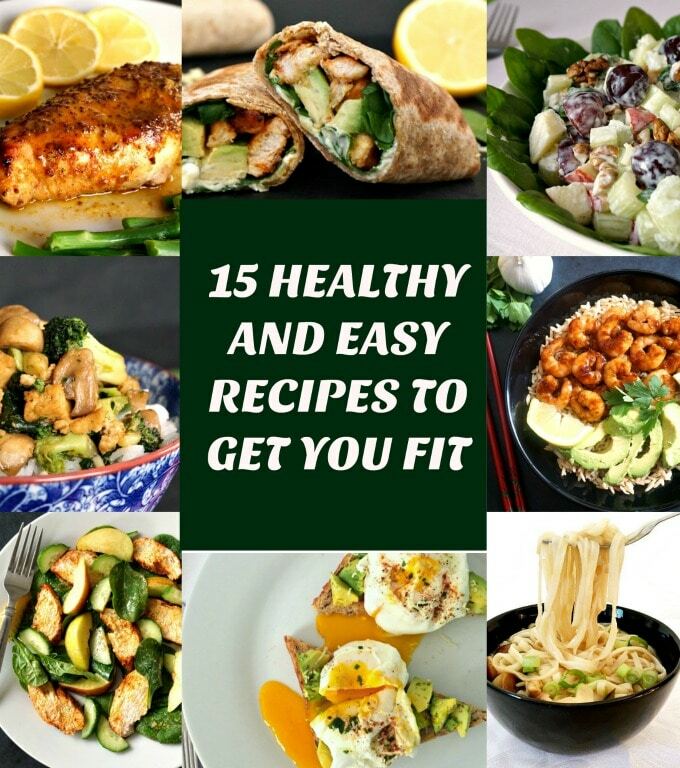 My 15 healthy and delicious recipes to get you fit feature both appetizers and main meals that are super easy to make. Just give them a try! 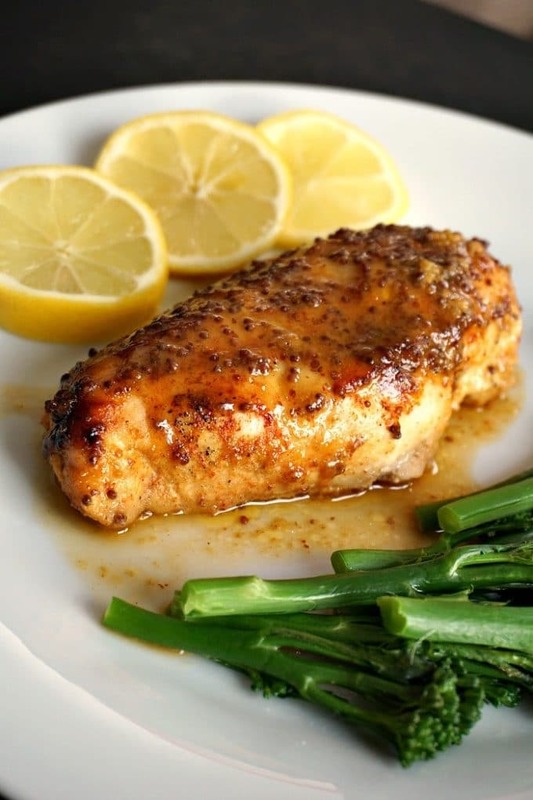 1 Baked Honey Mustard Chicken Breast with a Touch of Lemon – One of my popular recipe with hundread of tousands of shares accross different social media channels, this dish is simplicity at its best. Extremely tasty, is hardly requires any preparation at all. Give it a try, you’ll love it too. 2 . 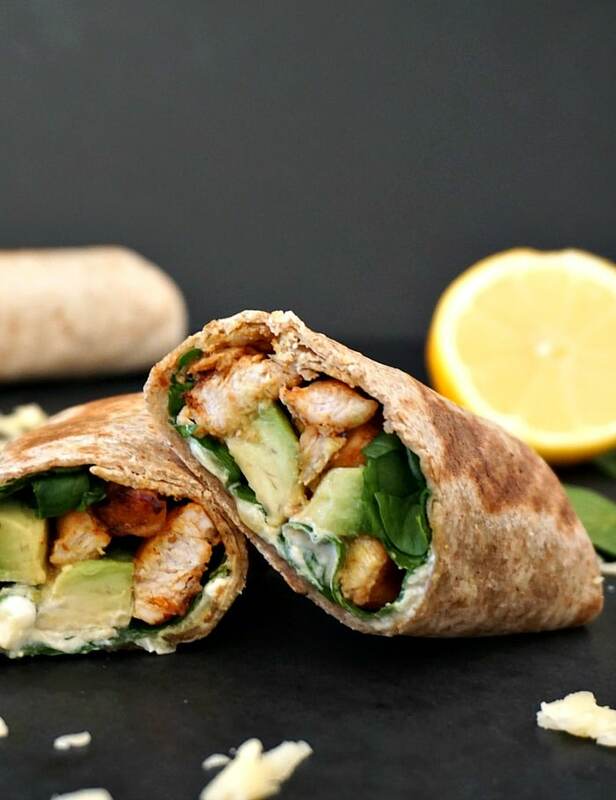 Grilled Chicken and Avocado Wrap – avocado and chicken together can only mean one super healthy combo. Ditch the wtite wraps and opt for the wholegrain version, a lot healthier and tastier too. 3. 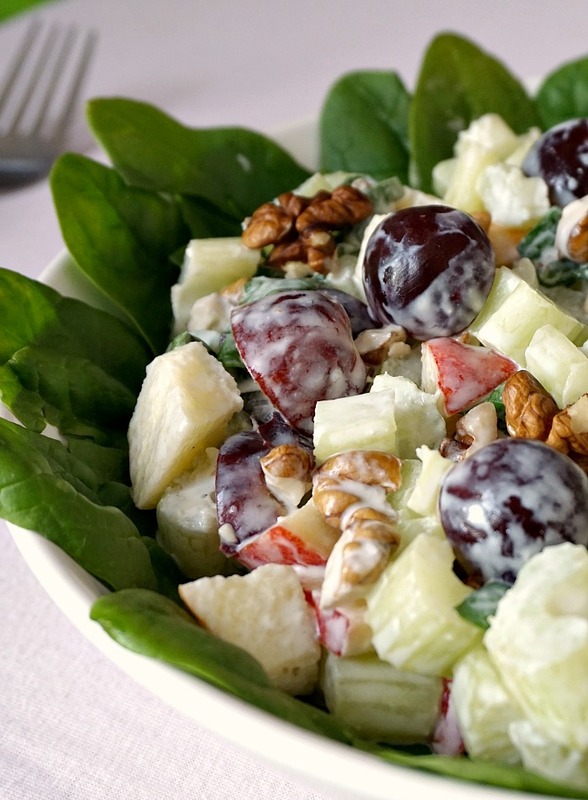 Waldorf Salad– a lighter and healthier version with using Yogurt for a fresh touch, this salad is great no matter the season. It’s packed only with fantastic ingredients, and it’s my first choice when I crave some yummy salads. Cravings shouldn’t only be about sweets. 4. 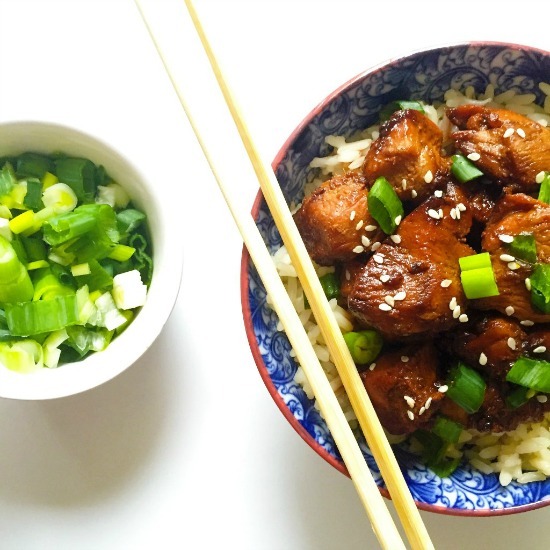 Grilled Teriyaki Chicken-a delicious Asian recipe for all tastes. 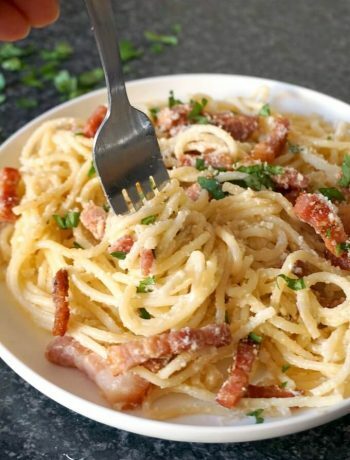 Ready in no time, this recipe makes a fantastic light dinner. Say no to greasy take-aways, homemade food is way tastier and healthier. 5. 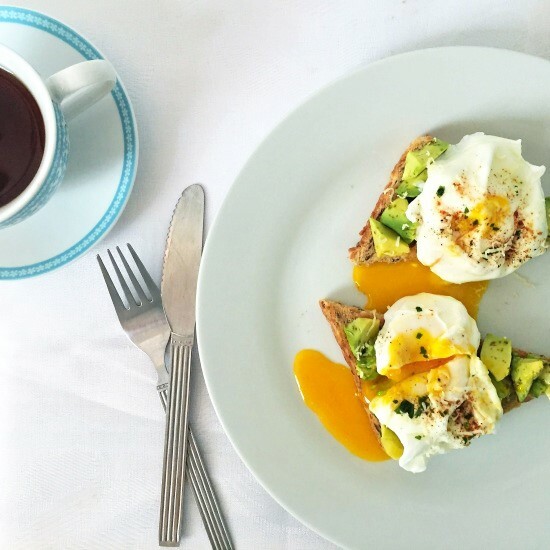 Poached Eggs and Avocado on Wholemeal Bread-the healthiest way to start your day. Extremely delicious, super nutritious, this is one fine breakfast fit for a king. Ditch the sugar-loaded cereals, and have a real breakfast, your body will thank you for it. 6. 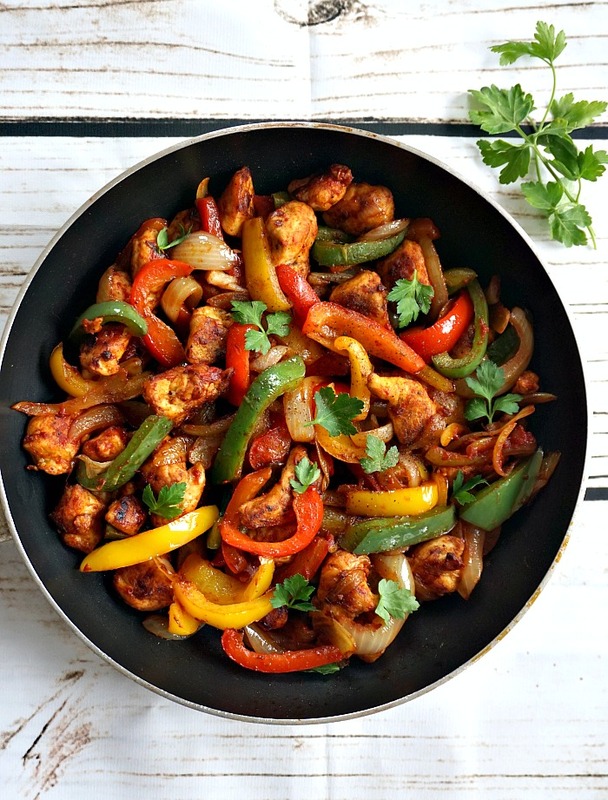 Mexican Chicken Fajitas-a lovely light & super healthy midweek dinner that is ready in under 15 minutes. Forget about diet books or expensive meals, eating the right food to keep yourself happy has never been easier. Mexican food is so popular all over the world, and this dish must be one of the favourite. 7. 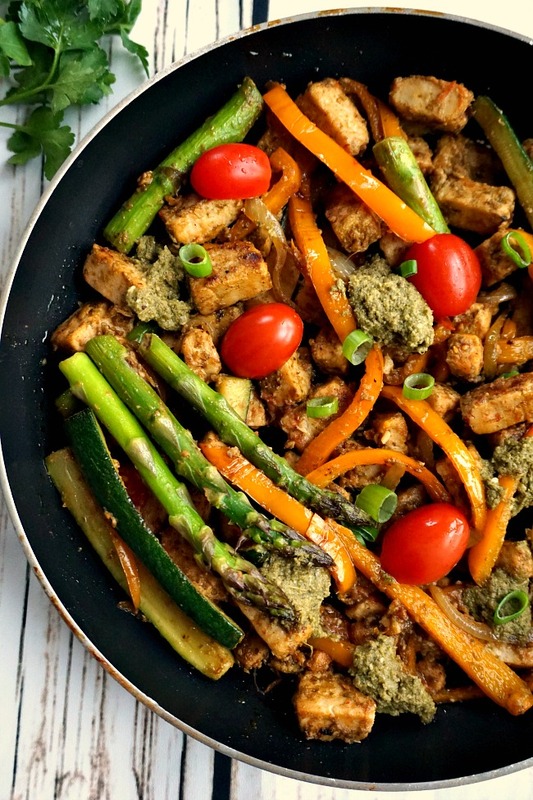 One-Pan Quorn Chicken with Vegetables– a light vegetarian meal for everyone to enjoy. It might not have meat in it, but it certainly is filling and flavourful. The pesto works so well with the quorn, while the asparagus, tomatoes and peppers bring a nice colour and crunch. 8. Salmon with Brussels Sprout and Pomegranate Salad-a delicious low-carb dinner for two that is ready in well under 30 minutes. A restaurant-style recipe, easy to make, flavourful and healthy. 9. 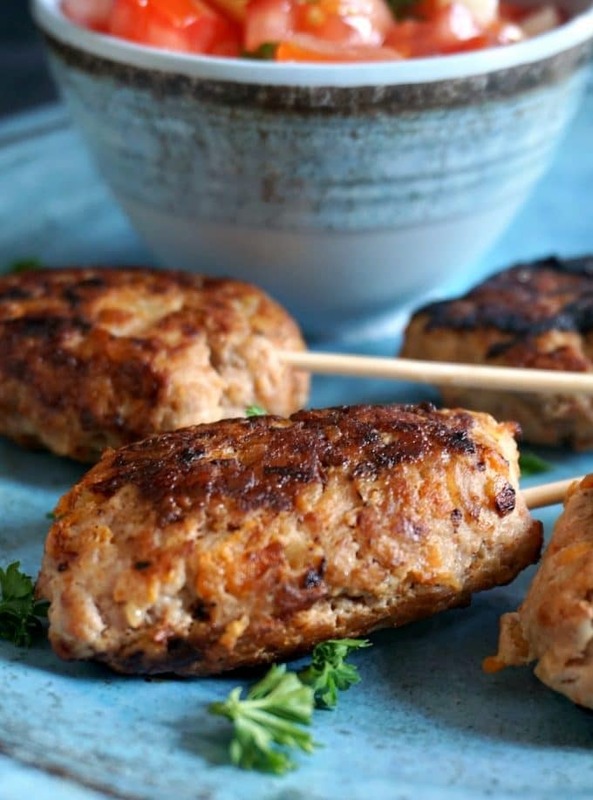 Turkey Kofta with Tomato Onion Salad –a healthy and easy low carb dinner recipes that go down a treat with the whole family. Super simple to make, and super delicious. 10. Apple Chicken Salad-light, yet nutritious and jammed packed with vitamins and minerals, this salad is sheer bliss. 11. 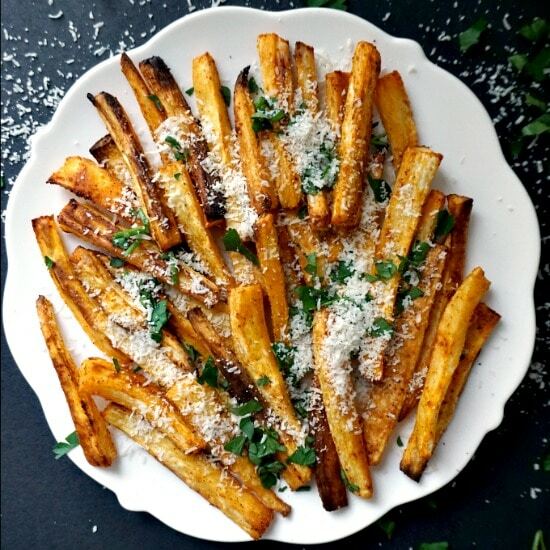 Baked Parsnip Fries-with a nice blend of paprika, parmesan, parsley, garlic powder, salt and pepper, plus a dash of olive oil, these parsnip fries are simply delicious. Great alternative to the good old potato fries. 12. 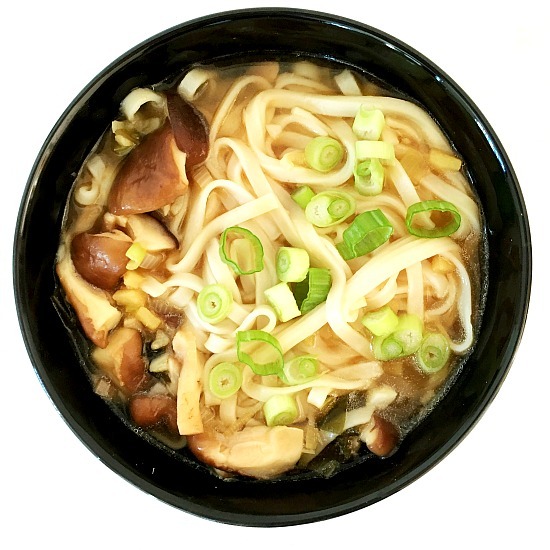 Japanese Udon Noodle Soup– a simple recipe packed with amazing flavours. And you have your meal ready in less than 15 minutes; it can’t get any better than that. 13. 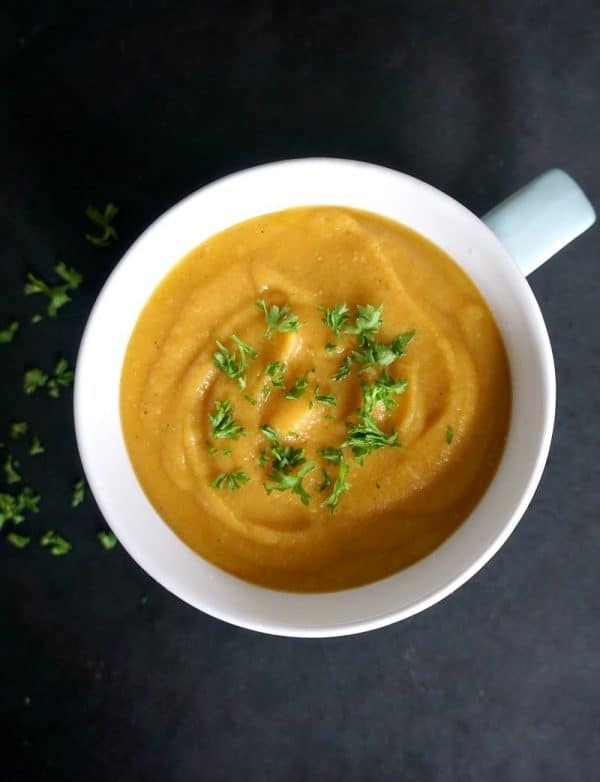 Sweet Potato Red Lentil Soup – light, but filling and nutritious, this soup has a nice blend of spices that works so well and give a delicate aroma to the soup. 14. Honey Garlic Prawns with Wholegrain Rice and Avocados – a super healthy dish that is packed not only with big flavours, but also with essential vitamins and minerals. My kind of food, that’s for sure! 15. 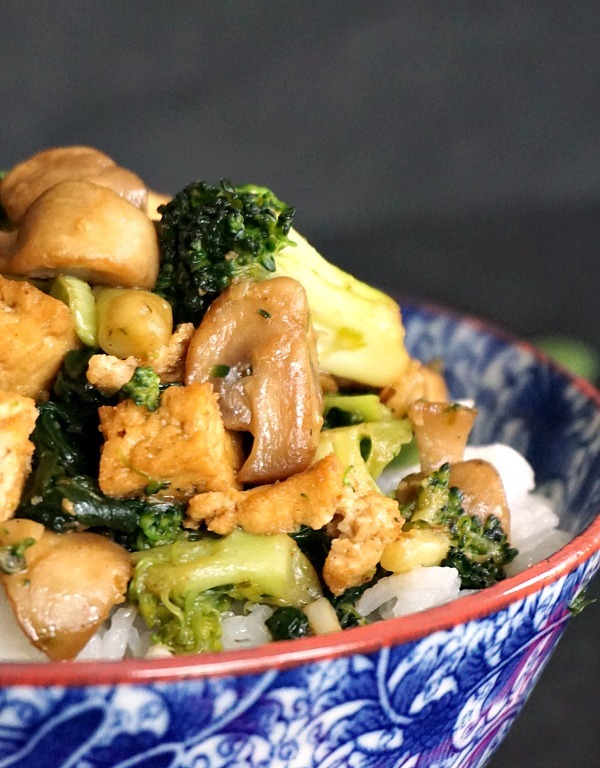 Broccoli Tofu Stir Fry – a delicious under 30-minute dinner that is vegan and gluten free. Satisfying, packed with all the nature’s goodness and super easy to make, this is perfect if you want a meat-free meal that is light, nutritious and delicious. So, which one of these yummy recipes has caught your attention? I must say that healthy eating is a lot easier than some might think. And cheaper too. If you’ve liked my 15 HEATHY AND EASY RECIPES or any other recipe on the blog then don’t forget to rate the recipe and let me know how you got on in the comments below, I love hearing from you! You can also FOLLOW ME on FACEBOOK, and PINTEREST to see more delicious food and what I’m getting up to. A lot of this looks delicious! Hi, Daniela – I discovered your blog at Mostly Blogging’s New Year Party. Your simple, healthy (and delicious-looking) New Year recipes are exactly what I have been looking for. I can’t wait to try them. I will definitely be back! Thank you, Donna! I am glad you like my recipes. I just popped over from Mostly Blogging’s New Year Party. Your recipes look great – just the thing many of us need after the heavy holiday eating season. I’m definitely going to try a few! Thank you, Janis! Glad you like them! Happy New Year! These dishes look wonderful. I’m definitely looking for lighter dishes after all the holiday foods. Happy New Year, Sheryl! Thank you, glad you like my post! Have a great 2017! Fifteen amazing looking recipes, Daniela, all perfect after our recent days of over indulgence! Thank you, Millie! Happy New Year to you too! Everything is so deliciously good and healthy at the same time. I’ve been trying to change my everyday routine ever since this year 2017 started. So far, I’m happy on what I’m doing. And of course, I will be trying all this recipes. Love it! Thank you for your comment, Esther! I hope you’ll enjoy the recipes.